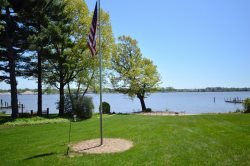 Private Lake Michigan Vacation Home! Here you will find multiple decks along the path to the beach. There are about 75 stairs until you reach your own private beach where you can spend your days sunbathing, swimming and spending time with your family along the shores of Lake Michigan. Spectacular views of Lake Michigan can be enjoyed from almost any room in the home. Yellow Paradise is located in West Olive just twelve miles south of Grand Haven and nine miles north of Holland. This vacation home is minutes away from all of your favorite "things to do!" This property sleeps six with three bedrooms. The master bedroom has a king bed overlooking Lake Michigan and a private master bathroom. The second bedroom has a queen bed and also overlooks Lake Michigan, and the third bedroom has two double beds. 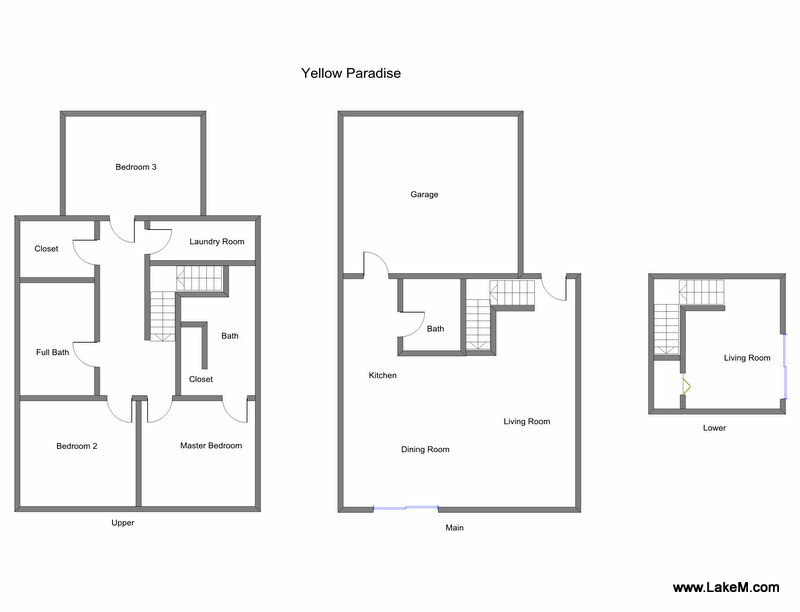 The three bedrooms are on the upper level as well as a second full bathroom. The main floor kitchen and dining area is a great open floor plan, and there is plenty of room for everyone sit around together while preparing meals. There is also an additional downstairs entertainment room, with sleeper sofa, for everyone to hangout in. Note from Owner: "Yellow Paradise has been in our family for 14 years, we love the peaceful setting and quite street we are on, and the generations of neighbors we visit with each summer. The views off the deck of Yellow are spectacular. We have enjoyed so many amazing sunsets, walks along the beach, and all the splendors of summer lake Michigan offers. Thank you for staying at our home!" This home is a wonderful place for a vacation with family and friends, adults and children. Booking was easy, and luckily it was available over Labor Day weekend. It is far enough away from the touristy towns, and close enough for easy access. The scenery from the deck is breathtaking, and direct access to a clean and uncrowded beach is heavenly. A truly wonderful experience for us!